Gov. Gary Herbert ended a stalemate Monday with the Utah County Commission that had left a vacancy on the new full-time, three-member board that oversees the Utah Transit Authority — and had fueled a bitter legal battle. They met in the governor’s office and agreed on a compromise candidate: Kent Millington, former chairman of the highway-overseeing Utah Transportation Commission. He retired from that part-time volunteer post earlier this year. 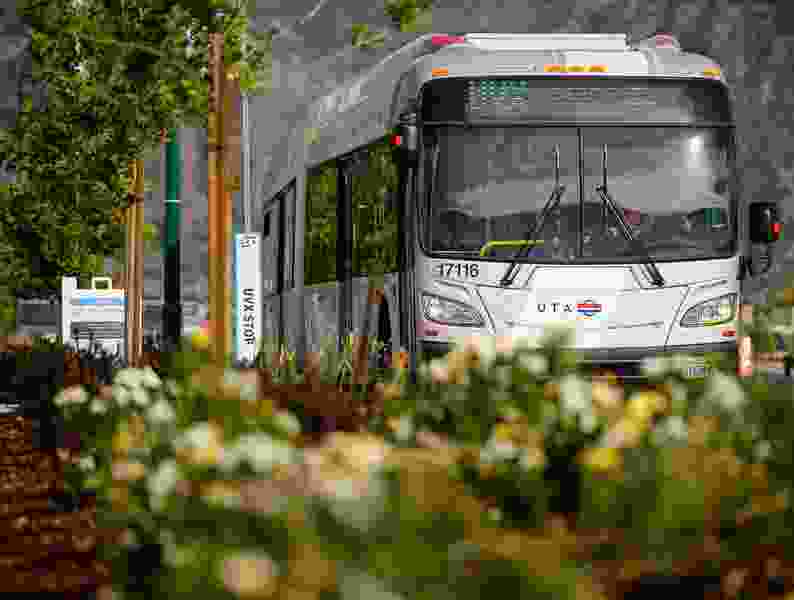 As a representative of the commission, Millington also had previously served on the old 16-member, part-time UTA board — and has been an outspoken critic of the transit agency. Scandals at UTA led the Legislature this year to restructure the agency, including forming the new three-member board to better oversee it. Herbert previously rejected as unqualified the two nominees sent to him by the Utah County Commission (in consultation with the Tooele County Commission). Utah County commissioners protested, arguing that a new state law gave Herbert no choice but to appoint one of them. They sued seeking to force him to do so. The governor argued that he is not bound to appoint anyone he sees as unqualified — especially because he has the power to fire board members for any reason. In response to the lawsuit, his lawyers also argued that Utah County commissioners ignored “a tsunami” of opposition to its nominees. They initially nominated Pleasant Grove City Councilman Ben Stanley, an attorney, and former Cedar Hill City Councilman Rob Crawley, an accountant. Cedar Hills Mayor Gary Gygi publicly charged that the two are little more than unqualified political allies of Utah County Commissioner Bill Lee — and several other elected officials wrote letters to Herbert opposing them. Meanwhile, the new board took over UTA last month with only two members. Carlton Christensen (nominated by Salt Lake County) and Beth Holbrook (nominated by Davis, Weber and Box Elder counties) have managed to cast the unanimous votes needed for the agency to move forward. But Utah and Tooele counties had no representation as the new board adopted a 2019 budget, and has been talking about ridership agreements and project plans in those two counties and elsewhere. Lee, the Utah County commissioner, said Friday that fellow commissioners in Utah and Tooele counties decided that they needed representation. He said state Auditor John Dougall helped the parties seek a compromise, and they agreed on Millington — one of the original applicants for the slot. Lee added that he does not regret pushing Herbert hard initially to appoint one of the original nominees. “It was important for us to stand up and call foul” when Herbert refused to appoint them, “but, in the end, we really need to have an appointment there." The Utah County Commission scheduled a meeting Tuesday to formally drop its lawsuit against Herbert. Herbert formally nominated Millington late Monday afternoon. ‟From the very beginning of this process, I have asked for consensus nominees who have the trust and confidence of the counties and cities served by UTA. I am grateful that the Utah and Tooele County commissioners found such a consensus nominee in Kent Millington," Herbert said in a written statement.